I recently have had an influx of adolescents in my office and I have learned some valuable lessons about how to approach them in the most effective ways. Teenagers have very distinct needs and do not really fit into either the almost-adult or still-a-child category. This can sometimes create difficulties when parents feel that therapy is necessary. Many parents would like to see their adolescent children well-adjusted, happy, successful and social. That is a tall order for teens who are dealing with peer pressure, hormonal changes, academic expectations, parental ideals and their own self-discovery process, all simultaneously. When parents are interested in therapy for their teens to provide a neutral, objective party to help, it can be difficult to decide who can best deal with teen issues. Many children’s therapists will not treat adolescents (they are too old and unmoldable) and many adult therapists will not either (they are too young and volatile). 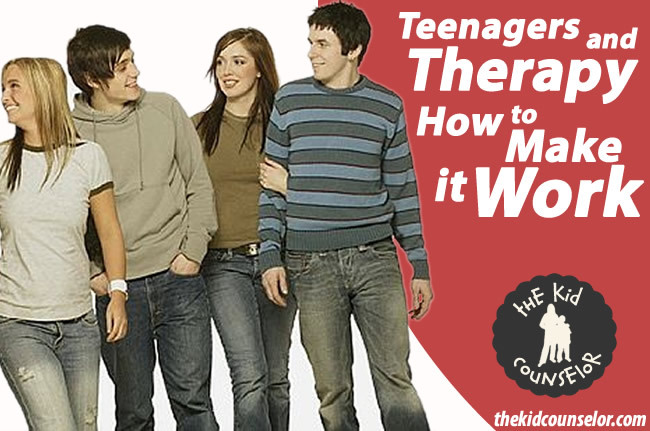 What does that mean for a parent trying to find a good-fit therapist for their teenager? I work with teenagers up to age 16 at my office and have noticed some interesting trends in their needs and wants. I have had to modify my treatment to best serve them, but with positive outcomes. Teens want to talk about themselves. Human beings love to be the center of attention. If given the right environment and a trustworthy recipient, teens enjoy discussing their lives. As an addendum, teens like talking about what THEY like. Talking about their family arguments or school problems does not interest them. Their friends, their dreams and goals, their feelings, and their frustrations are the favorite topics for discussion. Teens also like more structured activities. They do not feel comfortable with open-ended questions or nebulous hypotheticals (“What do you think about that”?) Teens do well with specific directives where they are able to complete a given task and then discuss it. I often use worksheets and creative projects to deal with emotions, family, friends and more. Teens are very easily embarassed. Even more so that adults. They are at a sensitive age where their self-esteem and confidence is developing or sometimes non-existent. Any questions or activities that put them in a threatened position will yield defensive postures and difficult progress. They need to feel respected and valued for it to work. The confidentiality of therapy is integral to success with teenagers. Many teens who have refused to continue therapy with other counselors felt that the therapist and parents were on a “team”, inevitably competing against them. Parents and counselors should NEVER discuss the teen in front of him or her, and it should be clear that the allegiance is between the teen and therapist, no where else. There are many more issues when working with teenagers, but those are the most important ones through my experience. Generally, if the teen feels important and it is clear that the therapist does not have an ulterior motive for meeting with him or her (I am going to “fix” you), it will be helpful and well-received. Remember, teens cannot be forced to get into a car and go to therapy. So, if they agree to go on the first visit, begrudgingly or not, consider it a success. If they go back again, it was widely successful. “This is a waste of time” or “I think this is stupid” is perfectly fine, as long as they continue to go. Adolescent rebellion and indifference is a part of life, but their actions will always speak louder than their words.